For many students the feel of Spring means that Summer is near. For faculty though, it's that 'special time' when we're both preparing for the end-of-year crunch and thinking about how to improve teaching and learning for next year. We're delighted to offer unique options and opportunities to administrators and teachers who are engaged in curriculum upgrades, interested in contemporary instructional strategies, and/or focused on assessment design. Our services are delivered through a series of onsite leadership consulting, step-by-step curriculum coaching, and meeting facilitation for school boards and parent groups. We also offer virtual options for teams in need of curriculum audits or other remote support. In addition, we're happy to partner with schools and school districts to offer Boot Camp Workshops featuring Drs. Heidi Hayes Jacobs and Marie Alcock. 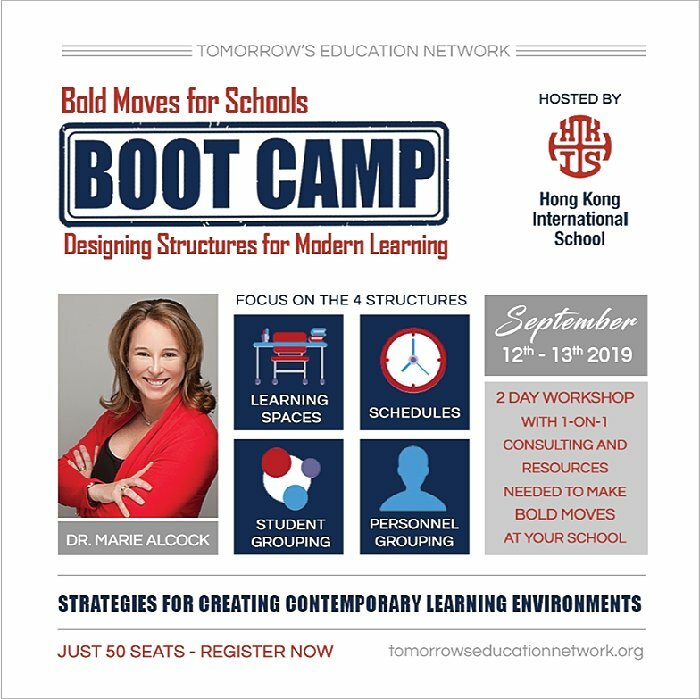 The popular Curriculum Mapping and Bold Moves for Schools workshops, offer specialized topics, tools and time to develop a strategy with your team, and personalized on the spot consulting from Heidi and Marie. Learn more about our Boot Camp Workshops. You are receiving this email because you have worked with us in the past, shown interest in our programs, or your school is in our target area. If you'd like to unsubscribe, you can do so by clicking here. 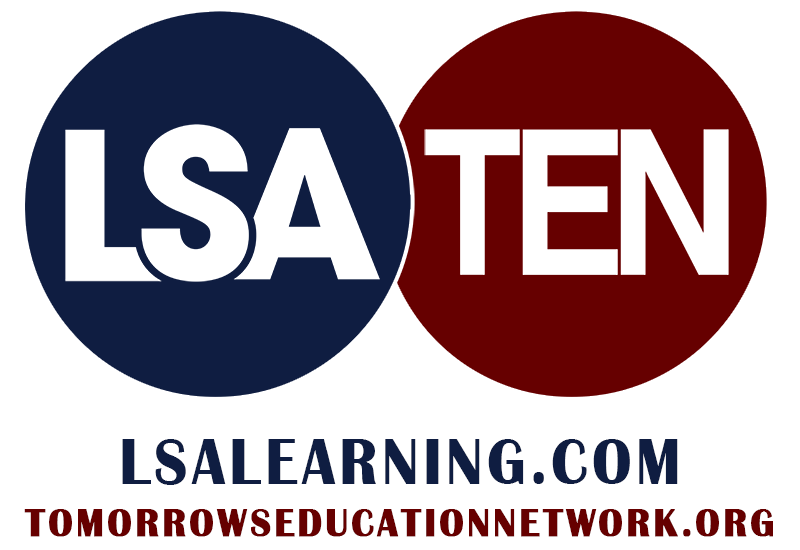 LSA-TEN is proud to support school organizations that are embracing curriculum change, contemporary instruction, and assessments that are authentic and standards based. Under the leadership of Dr. Marie Hubley Alcock, Learning Systems Associates and Tomorrow's Education Network offer unique options and opportunities to administrators and teachers who are engaged in curriculum upgrades, interested in contemporary instructional strategies, and/or focused on assessment design. 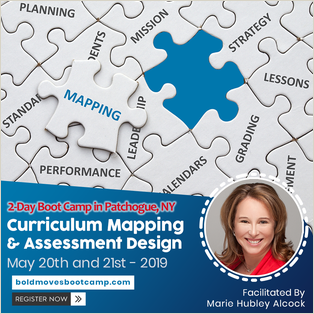 Patchogue, New York -- Covers a brief review of your school's mapping mission and strategy, and in-depth development of program roll-out, assessment data integration and unit map upgrades. 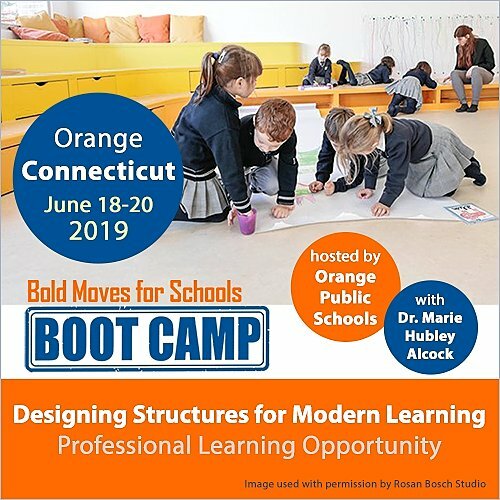 Orange, Connecticut -- Together we will examine the options for each of the four structures that make modern learning possible: schedules, learning spaces, student grouping and personnel configurations. Hong Kong -- We'll compare 'old school' structures to classic and contemporary models, and begin drafting programs that make modern learning possible. Participants will receive personalized coaching to develop a strategy for research, baseline analysis and implementation. 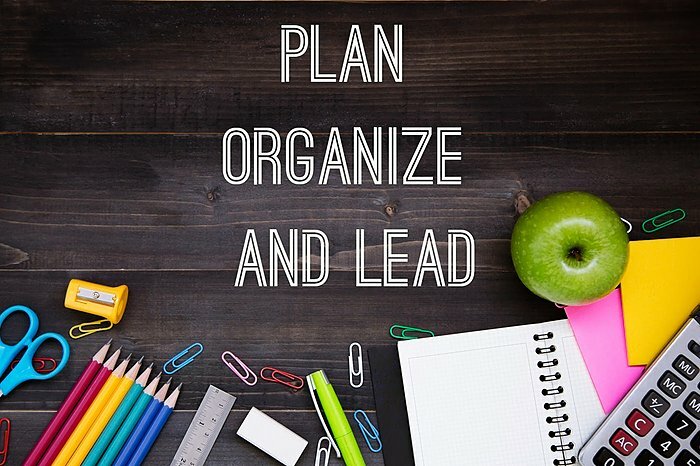 Invite Marie to your school for a leadership meeting, strategic planning session or curriculum review and we will schedule a virtual planning and review session follow-up at no additional cost. Partner with us to host a 1, 2 or 3 Day Professional Development Workshop at your campus. Partnering schools experience increased faculty engagement, broader connections to neighboring school groups, 20% discount on registration fees and a complimentary full-day strategic planning session with Dr. Alcock.